Draft: 2002, Chicago White Sox, 17th rd. Appeared in 19 games, 16 starts, in his third season with the Dodgers, while also missing 73 games over three different disabled list stints…Missed time from 5/5-6/26 (dislocated left shoulder), 6/26-7/8 (right knee tendonitis) and 7/21-9/22 (blister on right third finger)...Went 6-4 with a 3.84 ERA (37 ER/86.2 IP) in his 16 starts…Did not record a decision while compiling a 6.00 ERA (4 ER/6.0 IP) in his three relief outings. ..His three relief appearances were his most since 2006, when he made 51 with Chicago (AL)…Made 156 appearances, 154 starts, between 2007 through 2016…His three relief appearances were his final three outings of the season, 9/23 vs. SF, 9/27 vs. SD and 10/1 at COL...Went 6-3 with a 2.87 ERA (22 ER/69.0 IP) in his first 12 starts of the season through 6/20…Went 0-1 with a 7.23 ERA (19 ER/23.2 IP) over his final seven games, four starts. ..Among pitchers who threw at least 90.0 innings, ranked first with a 0.49 HR/9 rate (5 HR/92.2 IP)...His 15.6 pitches per inning ranked 10th fewest in the National League among pitchers who made at least 15 starts. 2017 Postseason:Made one postseason appearance for the National League champion Dodgers, allowing two runs over 1.0 inning to take the loss during Game 2 of the World Series vs. HOU. Appeared in 10 games (nine starts) for the Dodgers, going 2-3 with a 4.95 ERA...Went 2-0 with a 1.61 ERA (4 ER/22.1 IP) in his first four starts through July 22, before going 0-3 with a 9.17 ERA (18 ER/17.2 IP) over his last six games (five starts)...Had his run of 122 consecutive starts with three or fewer walks snapped on Aug. 2 at Colorado, when he tied a career high with five walks...Began the year on the disabled list following April 30, 2015 Tommy John surgery…reinstated on July 3 before returning to the DL with right hip stiffness on Aug. 14-Sept. 25. Made four regular season starts (3-0, 5.87 ERA) in his first season as a Dodger before being placed on the DL with a torn UCL in his right elbow. ... Struck out 29 against only four walks in 23.0 innings. ... Underwent Tommy John surgery performed by Dr. Neal ElAttrache on April 30. Made 22 starts in his first season with Arizona, going 5-11 with a 4.53 ERA (68 ER in 135.0 IP)…the 22 starts were 4 more than his 2012 total (18)... Ranked third among all starting pitchers with a 68.7 strike pct., trailing Cliff Lee (70.8) and David Price (68.8)... His 65.0 ground-ball pct. was the highest of his career... Did not issue a walk in 10 starts, tied for fourth most in the Majors... Averaged 1.40 walks per 9.0 innings, which would have ranked third in NL if he qualified... Posted a 3.79 ERA (34 ER in 80.2 IP) @ Chase Field, including a 2.12 ERA (14 ER in 57.0 IP) in his last 8 starts... 100th career start on April 3 vs. Cardinals... Tossed his third career shutout on May 18 @ Marlins (3 H)…the 3 hits allowed matched his low in a CG-effort (also Sept. 3, 2011 vs. Mariners)... Compiled a career-high 18.0-inning scoreless streak from May 12-24?.the streak tied for the fourth-longest in club history by a starting pitcher (also Curt Schilling in 2003)... On 15-day disabled list with right shoulder inflammation from June 1 (retro to May 31)-Aug. 2?.made 2 rehab starts with Triple-A Reno... 500th career strikeout on Aug. 16 @ Pirates... Went 3-3 with a 2.94 ERA (16 ER in 49.0 IP) in his final 7 starts... Hit .027 (1-for-37) with 2 sac hits and 3 walks…collected first career hit on Sept. 13 vs. Rockies, ending a 0-for-39 streak. Went 8-6 with a 3.24 ERA (40 ER in 111.0 IP) in only 18starts with the A's due to a pair of stints on the disabledlist and a season-ending head injury...His 3.24 ERA was ninth-lowest among American Leaguepitchers with at least 100.0 innings pitched...Was 6-3 with a 2.54 ERA (22 ER in 78.0 IP) in 23 startsbefore his second stint on the disabled list, compared to2-3 with a 4.91ERA (18 ER in 33.0 IP) after his reinstatement on Aug. 10...Made his first Opening Day start on March 28 vs. Seattlein Tokyo (ND, 1 ER in 7.0 IP)...Posted a career-high 6-game winning streak from April27-June 19, going 6-0 with a 1.96 ERA (10 ER in 46.0 IP)...On 15-day disabled list from May 18-June 2 and June 20-Aug. 10 with a strained right shoulder...Struck on the right side of his head by an Erick Aybar linedrive in the fourth inning on Sept. 5 vs. Angels, sufferingan epidural hemorrhage, brain contusion and a skull fracture...underwent surgery later that night to evacuate thehemorrhage and stabilize his fracture (surgery performedby Dr. Peter Weber at California Pacific Medical Campusin San Francisco)...was discharged on Sept. 11. Had the best season of his six-year Major League career as he was9-9 with a 3.32 ERA in 25 starts...had career highs in wins, starts,complete games (5), innings pitched (170.2) and strikeouts (123)...his ERA was the lowest of his career as was his .281 opponents onbasepercentage and .377 opponents slugging percentage...also hadcareer highs in hits (168), runs (73) and earned runs (63)...tied forsecond in the American League in complete games, tied for eighthin shutouts (1) and ranked ninth in on-base percentage...with 123strikeouts and just 25 walks, he set an Athletics record (since 1901)for strikeout-to-walk ratio with a mark of 4.92...broke the previousrecord of 3.91 set by Dan Haren in 2006...averaged 1.32 walks pernine innings, which was the second-lowest mark in Athletics history...the record is 1.30 by Jim "Catfish"Hunter in 1974...ranked second in the AL in strikeout-to-walk ratio and was third in walks per nineinnings and home runs per nine innings (0.58)...averaged 14.6 pitches per inning, which was third fewestin the league...a stint on the disabled list and a lack of run support limited him to a 1-5 record despitea 3.54 ERA in 11 starts before the All-Star Break...then went 8-4 with a 3.15 ERA in 14 starts after thebreak...tied for third in the AL in post-break wins and was eighth in ERA...his five complete gameswere the most by an A's right-handed pitcher since Bobby Witt also had five in 1994...however, he was1-4 in those games...the last pitcher with four complete game losses in a season was Livan Hernandezfor Montreal in 2004...the last Athletic to do it was Ron Darling in 1994...was 6-3 with a 2.65 ERA in13 starts at home and 3-6 with a 3.99 ERA in 12 starts on the road...had the seventh-lowest home ERAin the AL...went 4-1 with a 2.41 ERA in six starts during the day and was 5-8 with a 3.61 ERA in 19starts at night...had a 2.77 ERA over the first five innings of a game, a 4.75 ERA from the sixth inningon...allowed a .258 opponents batting average, including .256 (89 for 348) against left-handed hittersand .260 (79 for 304) against right-handers...surrendered eight of his 11 home runs to left-handers...nine were solo shots...all 11 came after his 45th pitch in a game...opponents hit .217 with runners inscoring position and two outs...has allowed a .211 (45 for 213) average in that situation in his career...yielded a .351 batting average and four of his 11 home runs to the opponents number three hitter...went4-0 with a 2.87 ERA in five starts against AL East teams and is 6-0 with a 3.59 ERA (29 er in 72.2 ip) in11 starts against the East over the last three years...went 4-3 with a 4.22 ERA in 11 starts on four daysrest and 5-6 with a 2.63 ERA in 14 starts on five days rest or more...committed four errors, which tiedfor fourth most among AL pitchers...had just three errors in 110 career games entering the season...the A's were 11-14 (.440) in his starting assignments, while his teams are38-43 (.469) in his career...tossed six or more innings in 21 of his25 starts, allowed two runs or fewer 11 times and walked two battersor fewer 24 times. OAKLAND: Had a no decision in the A's 7-6 10-inning loss at TorontoApril 5, his first Major League start since Oct. 2, 2009 at Seattle...picked up the win in his second start April 10 at Minnesota, hisfirst since Sept. 8, 2009 with Texas at Cleveland...had a no decisionin the A's 8-4, 10-inning loss April 15 against Detroit...left the gameafter 6.2 innings with a 1-0 lead...however, the bullpen allowed onerun in the ninth and seven in the 10th...it was the first of four times he left the game with a lead onlyto have the bullpen blow the save (also July 9 at Texas, July 20 at Detroit and Sept. 21 vs. Texas)...was1-0 with a 2.45 ERA over his first three starts...then went 0-5 with a 3.72 ERA over his next seven startsfrom April 21 to July 4...the five-game losing streak was the longest of his career...began the streakby tossing a complete-game four-hitter in the A's 1-0 loss at Seattle April 21...allowed a career-high 14hits and a career-high tying seven runs in an 8-3 loss at Los Angeles April 26...was charged with twoerrors May 2 against Texas to become the first A's pitcher to commit two errors in one game since ArielPrieto May 20, 1997 at Texas...was 1-4 with a 3.39 ERA in nine starts when he was placed on the 15-day disabled list May 20, retroactive to May 19, with a stress reaction in his right scapula...it was hissixth career stint on the DL...allowed just one home run in 63.2 innings before the injury...made twostarts on a rehab assignment with Single-A Stockton June 23 and 29, posting a 1-0 mark with a 0.00ERA (10.0 ip, 7 h, 2 r, 0 bb, 8 so)...was reinstated July 3 and went 8-5 with a 3.28 ERA following hisreturn...snapped his five-game losing streak in his first start after the All-Star Break, a 5-3 win overLos Angeles July 15...that began a career-high-tying four-game winning streak that spanned five startsfrom July 15 to Aug. 6...posted a 2.78 ERA during the streak...also won four straight from May 24 toSept. 8, 2009...the winning streak ended Aug. 12 against Texas when he allowed a career-high-tyingseven runs...left the game after 3.1 innings with a right knee contusion but did not miss a start...issueda season-high three walks in a 6-5 win at New York Aug. 23, snapping a 21-start streak with two walksor fewer...tossed back-to-back complete games Aug. 29 at Cleveland and Sept. 3 against Seattle...lostto the Indians 2-1 but picked up his first complete-game win of the season against the Mariners as hetossed a three-hit, 3-0 shutout...it was the low-hit game of his career and his second career shutout...isjust the second Oakland pitcher with back-to-back complete games over the last seven years (Braden,May 9-14, 2010)...is the first A's right-hander to toss back-to-back complete games since Bobby Witthad three straight (June 23-July 3, 1994)...struck out 10 batters in each start, the first two 10-strikeoutgames of his career...is the first A's pitcher with back-to-back 10-strikeout games since Mark Mulder(July 24-29, 2003)...is the first righty to do it since Todd Stottlemyre (Sept. 20-26, 1995)...did not walka batter in the game against Seattle and is just the third Athletics pitcher over the last 98 years with acomplete-game shutout, three or fewer hits, no walks and 10 or more strikeouts (Bobby Witt, June 23,1994 vs. Kansas City; Catfish Hunter, May 8, 1968 vs. Minnesota)...finished the month of Septemberwith a 2-2 record despite a 2.19 ERA and .200 opponents batting average...ranked fourth in the AL inERA and fifth in opponents batting...walked just three and struck 30 in 37.0 innings. Was 4-2 with a 3.36 ERA in 11 games, nine starts, at Triple-A Oklahoma City in a season interruptedby right shoulder problems...had three stints on the DL with the RedHawks and was added to theRangers' 60-day disabled list July 29...struck out 44 and walked just 11 in 56.1 innings...allowed a .234opponents batting average, which broke down to .227 against left-handed hitters and .240 against righthanders...yielded six of his eight home runs to righties and six were solo shots...opponents batted .190with runners in scoring position and .208 when leading off an inning...was 4-1 with a 1.99 ERA in sevengames at home and 0-1 with a 6.89 ERA in four outings on the road...tossed 7.0 innings in each of hisfirst four starts but would reach that mark just once over his final five starts...allowed two runs or fewerin six of his nine starts and walked two batters or fewer all nine times...spent most of the spring withTexas, going 1-3 with an 8.03 ERA in four spring training starts before he was optioned to OklahomaCity March 27...went 1-0 with a 2.51 ERA over his first four starts with the Red Hawks before he wasplaced on the disabled list April 26 with a right scapula stress reaction...was reinstated June 3 and madetwo relief appearances (2.0 ip, 3 h, 1 so) before returning to the DL June 8 with right shoulder inflammation...reinstated June 18 and had a no decision in a start June 19 at Nashville (2.0 ip, 3 h, 1 r, 1 er, 1 bb, 4 so) before returning to the DL June 22 with the same injury...was recalled by Texas July 29 andimmediately added to the Major League 60-day DL...returned to Oklahoma City on a rehab assignmentAug. 20 and went 2-2 with a 4.56 ERA over his final four starts...struck out a season-high nine in 7.0innings Aug. 30 against Nashville...made one postseason start Sept. 9 and was the losing pitcher in a3-2 loss to Memphis in Game 2 of the first round of the playoffs (6.0 ip, 8 h, 3 r, 3 er, 1 bb, 4 so)...madefour starts for Toros del Este in the Dominican Winter League following the season and was 2-0 with a1.96 ERA and .227 opponents batting average. Opened the year as the Rangers' no. 3 starter and made every scheduled outing before getting diagnosed with a stress fracturein his right shoulder blade for the second time in 3 years...wound up missing nearly 3 months with Texas, as he was on the disabledlist June 5-Aug. 31...spent the month of August on a rehabilitation assignment with Triple-A Oklahoma City and made 5 startsfor the RedHawks...still managed to win a career-high 7 games for the Rangers and compiled the 2nd-highest start and innings totalsof any season in his 5-year major league career...went 7-4, 4.62 (50 ER/97.1 IP) in 17 starts...ranked 5th on staff in strikeouts (65),and 6th in starts, wins, and innings...opponents batted .255 (96-376), 2nd-lowest allowed by any Texas pitcher...compiled 5.92 ERA(25 ER/38.0 IP) over first 7 starts, despite 3-1 record, then went 4-3, 3.79 (25 ER/59.1 IP) in final 10 starts spanning DL stint. After being slotted for the season-opening rotation, McCarthy suffered a setback with forearm inflammation in spring trainingand did not pitch for Texas until late August...recalled on Aug. 23 and went 1-1, 4.09 (10 ER/22.0 IP) in 5 games/starts for theRangers, this before a finger injury would end his season...made 4 of his 5 starts at Rangers Ballpark, going 1-1, 5.06 (9 ER/16.0 IP)...lone road start came Aug. 28 at LA of Anaheim, taking no decision despite quality start...opponents batted .244, with lefties holdinga higher mark (.293, 12-41) than right-handers (.195, 8-41)...recalled from Oklahoma (AAA) and made his season debut withTexas in the Rangers' 8-7 loss on Aug. 23 vs. Cleveland (4.0 IP, 3 H, 1 R-ER, 4 BB, 3 SO), pitching at the big league level for the firsttime since Sept. 20, 2007 vs. Baltimore...warmed up three times during a rain delay that pushed first pitch back one hour and 14 minutes...in light of the extra pre-game throwing and plans to build McCarthy's stamina conservatively, the coaching staff limited him to75 pitches (41 for strikes) that night...completed a season-high 6.0 innings twice, in back-to-back quality starts on Aug. 28 at LA ofAnaheim and Sept. 2 vs. Seattle...earned a 6-4 win in that latter contest against the Mariners (6.0 IP, 4 H, 2 R-ER), his first at themajor league level since July 31, 2007 at Cleveland...exited his final start on Sept. 15 vs. Detroit after throwing just 7 pitches and facing2 batters. 22-year-old went 3-2 with a 4.03 ERA (30 ER/67.0 IP) in 12 games (10 starts) with the White Sox ... went 3-1 with a 1.69 ERA (8 ER/42.2 IP) in seven games (five starts) after being recalled from Class AAA Charlotte for the final time on 8/30 ... allowed just 31 hits and eight walks and struck out 31 during that season-ending stretch ... Sox were 6-4 in his starts ... made five quality starts ... threw 7.2 scoreless IP for his first major-league victory on 8/30-2 at Texas, allowing just two hits ... threw 7.0 scoreless IP in his next start on 9/5 at Boston, allowing three hits with one walk and seven strikeouts in the Sox 5-3 win ... made relief appearances on 9/11 vs. the Angels (2 ER/5.2 IP) and 9/17 at Minnesota (1 ER/3.0 IP) ... his eight strikeouts vs. the Angels were the most by a Sox reliever since Ken Patterson also fanned eight on 8/31/91 at Detroit, while his 5.2 IP marked the longest outing by a Sox reliever since Jim Parque went 6.0 IP on 5/2/02 vs. Seattle ... posted a no decision on 9/22 vs. Minnesota despite making his third straight quality start ... allowed one run on four hits over 8.0 IP ... carried a 1-0 lead over Johan Santana into the seventh inning before allowing a solo homer to Jacque Jones ... the run snapped his consecutive scoreless streak at 21.0 IP as a starter ... lost at Detroit on 9/27 (3 ER/6.1 IP) before winning his final start on 10/2 at Cleveland (1 ER/5.0 IP), eliminating the Indians from playoff contention ... lefties batted .205 (25-122) and right-handers .276 (37-134) ... allowed 13 home runs ... his eight starts came over three stints with the Sox ... his contract was purchased on 5/22 when Orlando Hernandez went on the disabled list ... posted a no decision in his major-league debut on 5/22 at the Cubs (2 ER/ 5.1 IP) despite leaving with a 2-1 lead ... was optioned to Charlotte following his second start on 5/27 at Texas ... was recalled a second time on 6/20 when Hernandez was again disabled ... went 3-1 with a 3.79 ERA (8 ER/19.0 IP) in five starts in spring training ... went 7-7 with a 3.85 ERA (51 ER/119.1 IP) and 130 strikeouts in 20 games (19 starts) with the Knights ... ranked second in the International League in strikeouts ... since being optioned for the second time on 7/4, was 4-0 with a 2.03 ERA (12 ER/53.1 IP) and 49 strikeouts in nine games (eight starts) ... during that span, allowed just 37 hits and 14 walks while making six quality starts ... opponents hit .230 (103-447) ... struck out 10 or more batters four times with a high of 11 on 4/29 vs. Durham ... won his final start on 8/23 vs. Toledo, allowing one run on six hits with 10 strikeouts over 7.2 IP ... lost five straight starts from 5/10-6/14, allowing 25 earned runs over 26.1 IP (8.54 ERA) ... was named the International League Pitcher of the Week for 5/2-8 after winning his only start on 5/5 at Norfolk, throwing 8.0 scoreless IP with 10 strikeouts ... was ranked by Baseball America as the No. 3 Prospect and having the Best Control in the White Sox organization entering the season. Was named by Baseball America as a starting pitcher on the Minor League All-Star First Team, the No. 6 Prospect in the Carolina League and the No. 8 Prospect in the South Atlantic League ... led the entire minor leagues with 202 strikeouts while going 17-4 with a 3.14 ERA (60 ER/172.0 IP) in 27 starts between Class A Kannapolis, Class A Winston-Salem and Class AA Birmingham ... ranked among the organizational leaders in virtually all pitching categories ... won 12 consecutive decisions from 6/15-8/27 ... limited opponents to a .214 (134-627) average ... averaged 10.6 strikeouts per 9.0 IP with a 6.7:1 strikeout-to-walk ratio (30 BB) ... struck out at least 10 batters on six occasions and did not issue a walk in 11 starts ... tallied 17 quality starts ... began the season with Kannapolis ... led the club in complete games (three), shutouts (one) and strikeouts (113) and tied for second in the SAL in complete games ... was named to the SAL midseason All-Star Team ... hurled 7.0 scoreless IP three times with the Intimidators ... surrendered 10 home runs ... registered back-to-back complete games (7.0 IP) on 5/4 and 5/9 vs. Delmarva ... posted first-career shutout on 6/26 vs. Hickory (7.0 IP) ... was promoted to Winston-Salem on 7/1 where he walked just three batters in 52.0 IP ... held opponents to a .168 (31-184) average... struck out a season-high 16 batters on 7/31 at Myrtle Beach ... named CL Pitcher of the Week for 7/25-8/1 ... went 6-0 with a 1.55 ERA (7 ER/40.2 IP) over his final six starts with the Warthogs ... was promoted to Birmingham on 8/12 ... struck out 29 batters in 26.0 IP with the Barons ... his loss on 9/1 vs. Chattanooga (4 ER/7.0 IP) was hisfirst since 6/5 (16 starts) ... suffered the loss in Game 1 of the SL playoffs vs. Mobile (4 ER/6.0 IP). Led the Pioneer League in IP (101.0) and strikeouts (125) at Advanced Rookie Great Falls ... tied for the PL lead in complete games (one) and ranked second in wins (nine) ... averaged 11.1 strikeouts and 1.3 walks (15 BB) per 9.0 IP ... compiled an 8.3:1 strikeout-to-walk ratio ... 12 of 15 starts were quality (80.0 percent) ... produced six double-digit strikeout games, including 13 on 8/29 vs. Billings ... was 3-0 with a 1.89 ERA (4 ER/19.0 IP) in June and earned PL Pitcher of the Week for 6/23-29 ... struck out 11 batters in 6.0 relief IP on 8/24 at Idaho Falls. Ranked by Baseball America as the No. 20 Prospect in the Arizona League ... led the AZL in strikeouts (79) and IP (78.1), tied for the lead in starts (14) and finished seventh in ERA (2.76) ... compiled a 5.3:1 strikeout-to-walk ratio (79 SO/15 BB) ... issued 1.6 walks per 9.0 IP ... posted a 1.51 ERA (6 ER/35.2 IP) in August ... was recommended/signed by Joe Butler and John Kazanas. October 29, 2018 RHP Brandon McCarthy elected free agency. October 29, 2018 Atlanta Braves activated RHP Brandon McCarthy from the 60-day disabled list. 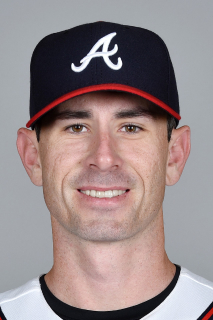 August 25, 2018 Atlanta Braves sent RHP Brandon McCarthy on a rehab assignment to Gwinnett Stripers. June 28, 2018 Atlanta Braves placed RHP Brandon McCarthy on the 10-day disabled list. Right knee tendinitis. October 24, 2017 Los Angeles Dodgers activated RHP Brandon McCarthy. October 6, 2017 Los Angeles Dodgers reassigned RHP Brandon McCarthy to the minor leagues. September 22, 2017 Los Angeles Dodgers activated RHP Brandon McCarthy from the 60-day disabled list. September 15, 2017 Los Angeles Dodgers sent RHP Brandon McCarthy on a rehab assignment to Tulsa Drillers. September 4, 2017 Los Angeles Dodgers transferred RHP Brandon McCarthy from the 10-day disabled list to the 60-day disabled list. Blister on right third finger. August 25, 2017 Los Angeles Dodgers sent RHP Brandon McCarthy on a rehab assignment to Rancho Cucamonga Quakes. July 24, 2017 Los Angeles Dodgers placed RHP Brandon McCarthy on the 10-day disabled list retroactive to July 21, 2017. Blister on right third finger. July 8, 2017 Los Angeles Dodgers activated RHP Brandon McCarthy from the 10-day disabled list. June 26, 2017 Los Angeles Dodgers placed RHP Brandon McCarthy on the 10-day disabled list. Right knee tendonitis. May 15, 2017 Los Angeles Dodgers activated RHP Brandon McCarthy from the 10-day disabled list. May 8, 2017 Los Angeles Dodgers placed RHP Brandon McCarthy on the 10-day disabled list retroactive to May 5, 2017. Left shoulder soreness. October 23, 2016 Los Angeles Dodgers activated RHP Brandon McCarthy. October 7, 2016 Los Angeles Dodgers reassigned RHP Brandon McCarthy to the minor leagues. September 25, 2016 Los Angeles Dodgers activated RHP Brandon McCarthy from the 15-day disabled list. September 5, 2016 Los Angeles Dodgers sent RHP Brandon McCarthy on a rehab assignment to Rancho Cucamonga Quakes. August 14, 2016 Los Angeles Dodgers placed RHP Brandon McCarthy on the 15-day disabled list. Right hip stiffness. July 3, 2016 Los Angeles Dodgers activated RHP Brandon McCarthy from the 60-day disabled list. June 27, 2016 Los Angeles Dodgers sent RHP Brandon McCarthy on a rehab assignment to Rancho Cucamonga Quakes. June 22, 2016 Los Angeles Dodgers sent RHP Brandon McCarthy on a rehab assignment to Oklahoma City Dodgers. June 11, 2016 Los Angeles Dodgers sent RHP Brandon McCarthy on a rehab assignment to Rancho Cucamonga Quakes. November 6, 2015 Los Angeles Dodgers activated RHP Brandon McCarthy from the 60-day disabled list. April 27, 2015 Los Angeles Dodgers placed RHP Brandon McCarthy on the 15-day disabled list retroactive to April 26, 2015. Right UCL tear. December 16, 2014 Los Angeles Dodgers signed free agent RHP Brandon McCarthy. October 30, 2014 RHP Brandon McCarthy elected free agency. July 8, 2014 New York Yankees activated RHP Brandon McCarthy. July 6, 2014 Arizona Diamondbacks traded RHP Brandon McCarthy and cash to New York Yankees for LHP Vidal Nuno. August 4, 2013 Arizona Diamondbacks activated RHP Brandon McCarthy from the 15-day disabled list. July 21, 2013 Arizona Diamondbacks sent RHP Brandon McCarthy on a rehab assignment to Reno Aces. June 1, 2013 Arizona Diamondbacks placed RHP Brandon McCarthy on the 15-day disabled list retroactive to May 31, 2013. Inflammation of right shoulder. December 11, 2012 Arizona Diamondbacks signed free agent RHP Brandon McCarthy. November 3, 2012 RHP Brandon McCarthy elected free agency. October 12, 2012 Oakland Athletics activated RHP Brandon McCarthy. August 10, 2012 Oakland Athletics activated RHP Brandon McCarthy from the 15-day disabled list. July 30, 2012 sent RHP Brandon McCarthy on a rehab assignment to Sacramento River Cats. June 24, 2012 Oakland Athletics placed RHP Brandon McCarthy on the 15-day disabled list retroactive to June 20, 2012. Strained right shoulder. June 2, 2012 Oakland Athletics activated RHP Brandon McCarthy from the 15-day disabled list. May 20, 2012 Oakland Athletics placed RHP Brandon McCarthy on the 15-day disabled list retroactive to May 18, 2012. Strained right shoulder. July 3, 2011 Oakland Athletics activated RHP Brandon McCarthy from the 15-day disabled list. June 29, 2011 sent RHP Brandon McCarthy on a rehab assignment to Stockton Ports. June 28, 2011 Stockton Ports sent RHP Brandon McCarthy on a rehab assignment to Sacramento River Cats. June 23, 2011 sent RHP Brandon McCarthy on a rehab assignment to Stockton Ports. May 20, 2011 Oakland Athletics placed RHP Brandon McCarthy on the 15-day disabled list retroactive to May 19, 2011. Stress reaction in right scapula. December 14, 2010 Oakland Athletics signed free agent RHP Brandon McCarthy. November 5, 2010 RHP Brandon McCarthy elected free agency. November 3, 2010 Texas Rangers activated RHP Brandon McCarthy from the 60-day disabled list. October 24, 2010 RHP Brandon McCarthy assigned to Toros del Este. August 20, 2010 sent RHP Brandon McCarthy on a rehab assignment to Oklahoma City RedHawks. June 24, 2010 Oklahoma City RedHawks placed RHP Brandon McCarthy on the 7-day disabled list. Right shoulder inflammation. June 19, 2010 Oklahoma City RedHawks activated RHP Brandon McCarthy from the 7-day disabled list. June 10, 2010 Oklahoma City RedHawks placed RHP Brandon McCarthy on the 7-day disabled list. June 3, 2010 Oklahoma City RedHawks activated RHP Brandon McCarthy from the 7-day disabled list. April 27, 2010 Oklahoma City RedHawks placed RHP Brandon McCarthy on the 7-day disabled list retroactive to April 26, 2010. Stress reaction in right shoulder. March 27, 2010 Texas Rangers optioned RHP Brandon McCarthy to Oklahoma City RedHawks. September 1, 2009 Brandon McCarthy roster status changed by Texas Rangers. August 8, 2009 sent RHP Brandon McCarthy on a rehab assignment to Oklahoma City RedHawks.